The second season of The Handmaid's Tale will introduce an incredibly significant character from Margaret Atwood's 1985 novel. 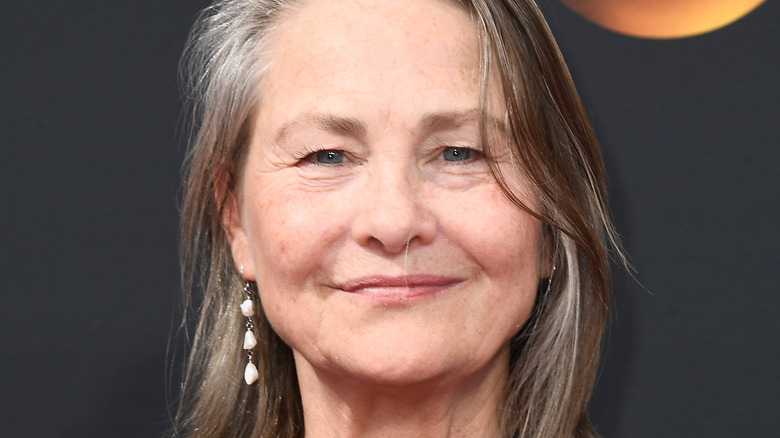 According to The Hollywood Reporter, Emmy winner Cherry Jones (24) will guest star as Holly, the outspoken feminist mother of June/Offred (Elisabeth Moss), who was only mentioned during flashback scenes in season 1. Jones will appear in the fourth episode of season 2, but it's not clear if she'll return for more. In Atwood's novel, Holly is described as judgmental but loving to her daughter. Offred often remembers how she used to think her mother's feminist causes were extreme. Of course, that begins to change as Gilead begins to take over. Offred doesn't know what happened to Holly, but her mom does show up during a Handmaid's training video, hinting that she may have been in The Colonies where she likely died of radiation. As we saw in photos for season 2, The Colonies will be a bigger part of the second season, but we don't know if Holly will appear in a present-day storyline or only in flashbacks. Showrunner Bruce Miller told THR there were always plans to bring June's mother into the mix. "We've been thinking about her a lot," he said. "June's mother is a big character in the book and representative of an interesting kind of feminism that was seemingly more of that time. June's memories of her mother and her activism are very vibrant in the book, so we've been talking about her from day one of season 1, and it just didn't seem like enough time to do her justice. In season 2, we mention her a little bit, but we just don't want to short-shrift her story. It's a story we want to tell — she was one of the most memorable characters." Moss, who is an executive producer on the show, suggested Jones for the role that she sees as integral to the storyline. "[Holly is a] terrific literary character who's now going to come to life for the first time and so it was important to me who that was," Moss said. "I was obsessed with it for weeks and bothering everybody about it — way before anybody cared to talk about it. Cherry was my fantasy choice. I sent her the script, she wrote me a lovely email back and she said yes almost immediately." Jones, who has also appeared on the Netflix series Black Mirror and Amazon's Transparent, will join previously announced guest stars Marisa Tomei and Sydney Sweeney (Pretty Little Liars) in season 2. The Handmaid's Tale returns with its first two of 13 new episodes on April 25.